You are at the heart of all that we do at Zynga and we’re constantly working to make your experience more fun. Today we’re excited to announce a new way for you to get more out of playing the games you love with the launch of RewardVille, a new rewards program that allows you to earn Zynga-level points and coins, and unlock exclusive and limited edition virtual items across multiple games. You will continue to earn in-game points and coins in your favorite Zynga games, and now you’ll also earn zPoints and zCoins on top of that, too! 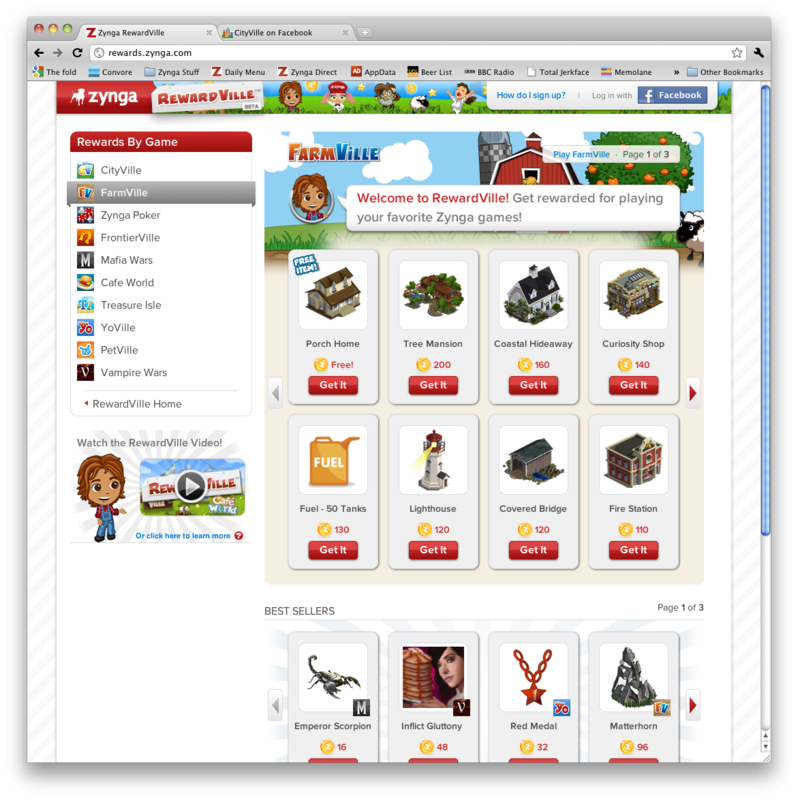 Play Top Zynga Games – CityVille, FrontierVille, FarmVille, Mafia Wars, Zynga Poker, Café World, Treasure Isle, YoVille, PetVille, and Vampire Wars are all featured in RewardVille. 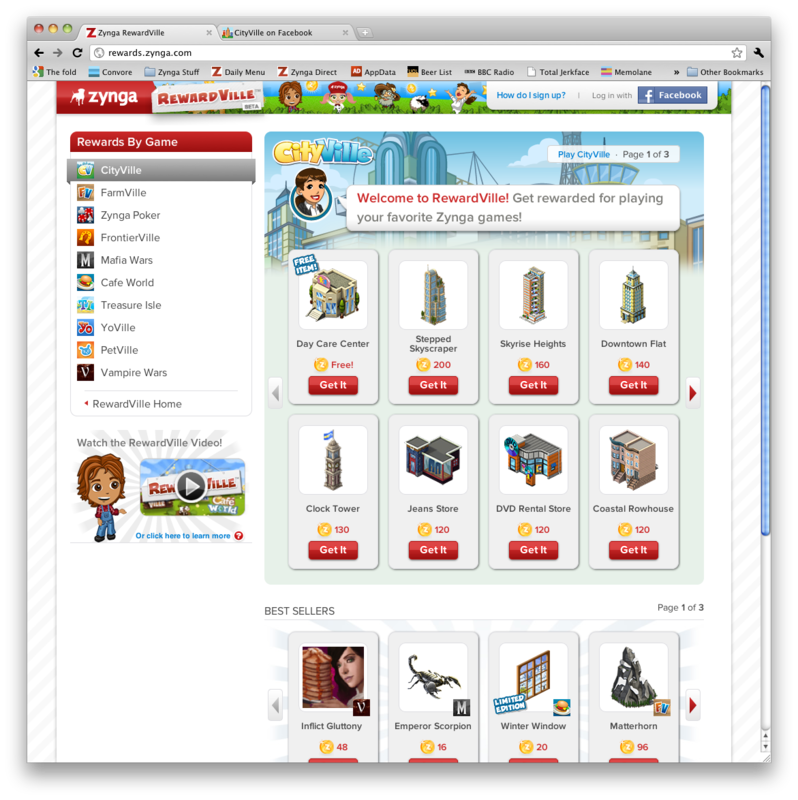 "Level-up" the Zynga Way – Rack up Zynga-level points called "zPoints" and currency called "zCoins" across Zynga games. Earning zPoints lets you advance your Zynga level, gain zCoins, and just as in the games, unlock different RewardVille items along the way. Earn as much as 80 zPoints per game or 300 zPoints total in one day. The more you play Zynga games, and the more Zynga games you play, the faster you'll level up and earn rewards in RewardVille. Get Exclusive Virtual Goods – Redeem zCoins for exclusive and limited edition items, such as the "Stepped Skyscraper" in CityVille or a "Ring of Fire" in FrontierVille, available only on RewardVille. These special items are free and offer great payouts that help you advance faster in your game. All players who sign up for RewardVille in March will receive one free item per game. Connect with Friends Across Games – Send mystery gifts across games to friends and family playing other Zynga titles. Once they accept your gift, they gain zPoints or zCoins which can be traded in at RewardVille for exclusive items in the games they love to play. RewardVille provides a unified experience across games so that you can build up your Zynga level and advance faster in the games you love. The more you play, the more you earn. We hope that you enjoy it and look forward to hearing what you think.